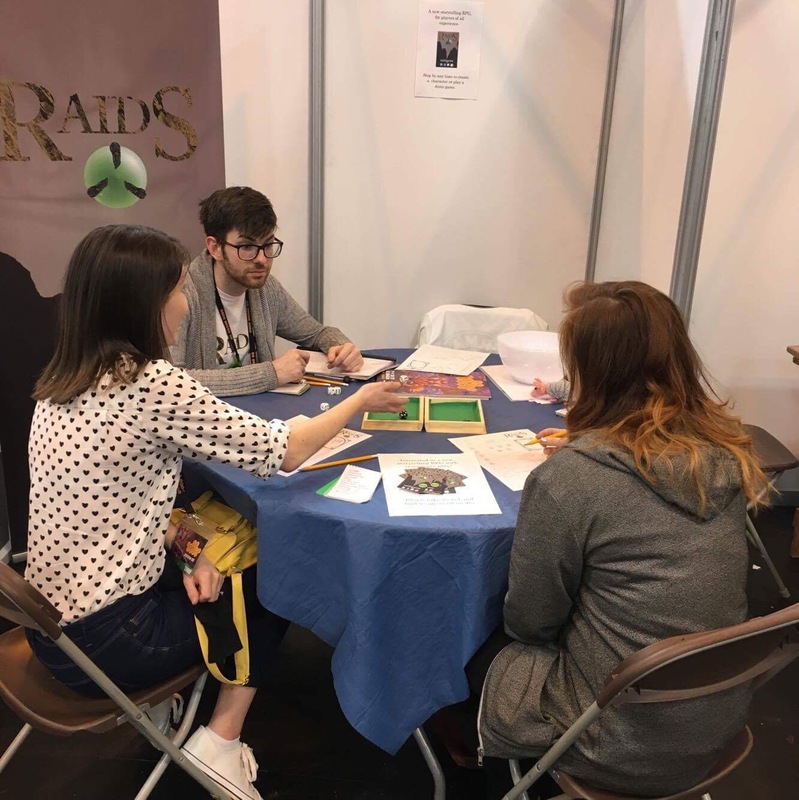 So for those of you who would like to know more about the game and didn’t get a chance to visit us this year at UK Games Expo, here’s a bit more information about how Raids works. Next you pick a race. There are 3 main humanoid races to choose from, but there are notes in the creature section of the rules if you wish to play as a non humanoid (a unicorn, a dragon… anything!) Your race will grant you some features to aid you as you perform ability checks through the game, and there will be information about their cultures and how to fully get into that role. Next you pick 5 skills that you are trained in. There isn’t a specific list of these to choose from, and not picking one doesn’t mean you can’t perform that skill check. For example, if you are not trained in heavy armour, you can still wear it but you won’t get the full mobility benefits of it. The only real rules behind what skills you should pick are these: one of them should be your craft/ hobby/ profession to add some flavour, one should be a combat skill (unless you wish to play as a pacifist, but you’ll need to think carefully about why they could end up in fights) and magic is only accessible to those who are trained. Each of these skills will level up as you use them to aid your party and progress the story- you yourself will not level up. This way you can always train new skills as you adventure. For the more mechanics minded players, there is a list of spells to choose from and by casting more spells successfully you unlock a deeper learning of magic and more powerful spells. This also opens the magical mishaps, which occur on the roll of a natural 1. Your spell may explode, or drain you of your connection to magic altogether. This is the more balanced way of playing the game and is the suggested way for fairness, but we don’t want to take away the fun from people exploring RPGs for the first time.